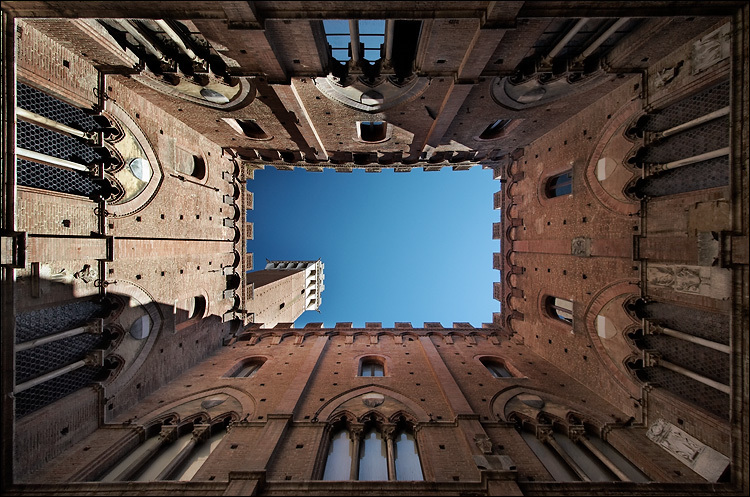 looking up in a courtyard in siena, italy. siena has amazing architecture, like many other italian cities. this scene reminded me of m.c. escher's "another world II". update: thanks for all the kind comments, i'm glad you enjoyed it. per request, I've uploaded a bigger version suitable for desktop wallpaper on flickr. enjoy.